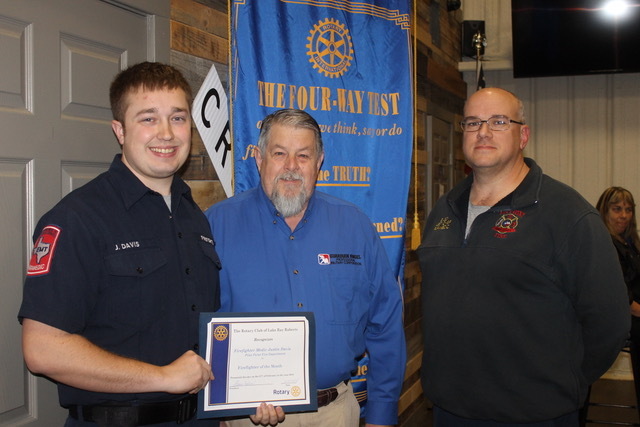 The Lake Ray Roberts Rotary Club honored Justin Davis of the Pilot Point Fire Department and Cpl. John Gardner of the Pilot Point Police Department as the first responders for the month of February. Our thanks to Davis and Gardner for all they do to serve and protect our community! 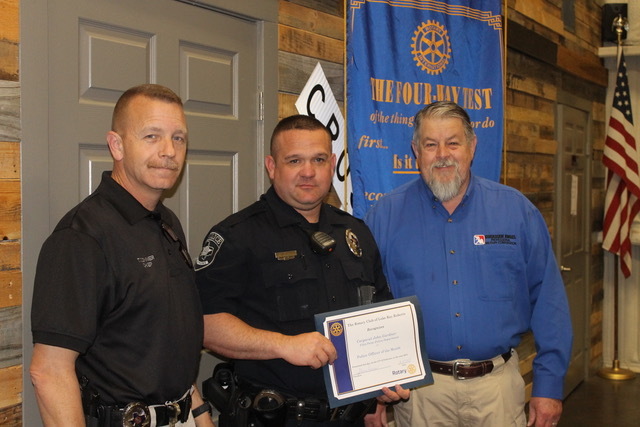 Shown with Davis are Rotary member Ric Sadler and Assistant Fire Chief Bryan Cox, and shown with Gardner are Police Chief Tim Conner and Sadler.